Are you ready to get your Girls on? Before the highly-anticipated final season kicks off this winter, check out the “spectacular” (Vulture) fifth season of the Emmy®- and Golden Globe-winning HBO comedy Girls. 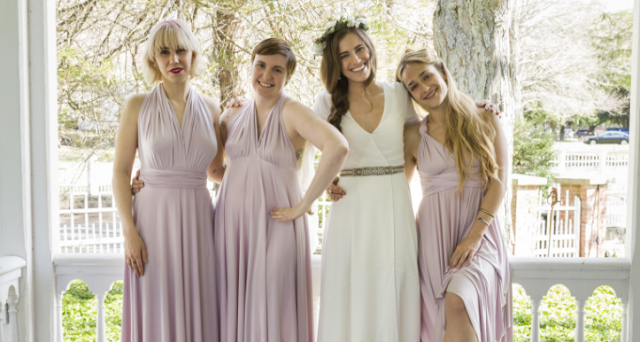 Starring and created by Lena Dunham and executive produced by Judd Apatow and Jenni Konner, the hit series follows the assorted humiliations and rare triumphs of a group of girls in their mid-20s—each facing new challenges in life and love. GIRLS: The Complete Fifth Season will be available on Blu-rayTM and DVD January 3rd, 2017. The Blu-rayTM and DVD sets both feature a free digital download of all 10 episodes, plus exclusive bonus content including more than two dozen never-before-seen deleted and extended scenes.